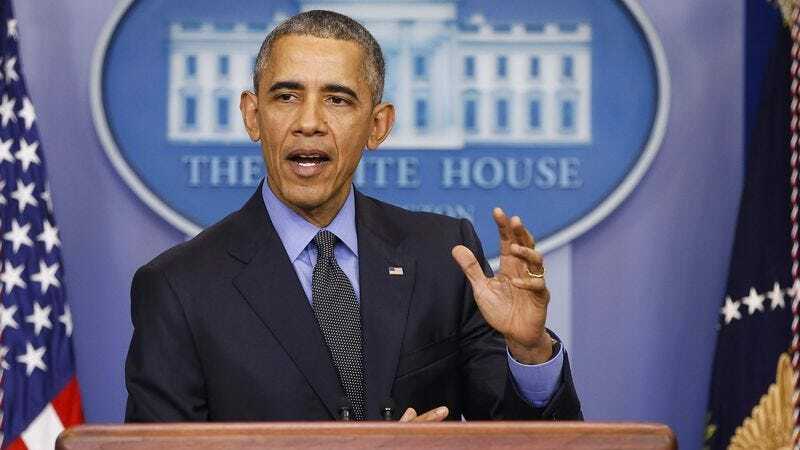 WASHINGTON—After outlining the key issues he intends to address during upcoming talks with Saudi leaders, President Barack Obama took a moment during a press conference Monday to remind the nation that he would be taking a personal day next Friday. “I’ll be out the whole day and I’m going to have limited access to phone and email, so if you’re trying to get in touch with me, don’t expect a response until the following Monday at the earliest,” said Obama, instructing all 320 million Americans to take any questions that may come up to Tom Vilsack, the U.S. Secretary of Agriculture, whom the president had reportedly tapped to run the morning cabinet meeting in his absence. “If it’s really urgent, you can get in touch with my secretary, Ferial, and she can reach me on my personal number—but just try to use some common sense about what’s an actual emergency and what can wait.” The president then informed the nation he would be taking two weeks off in May, noting that he had maxed out his vacation days and had to use them quickly or begin forfeiting them.